A special formula developed for toilets connected to the central water tank of the vehicle. Just spray inside the bowl before or after using the toilet to ensure a smooth flush and a fresh smelling toilet. 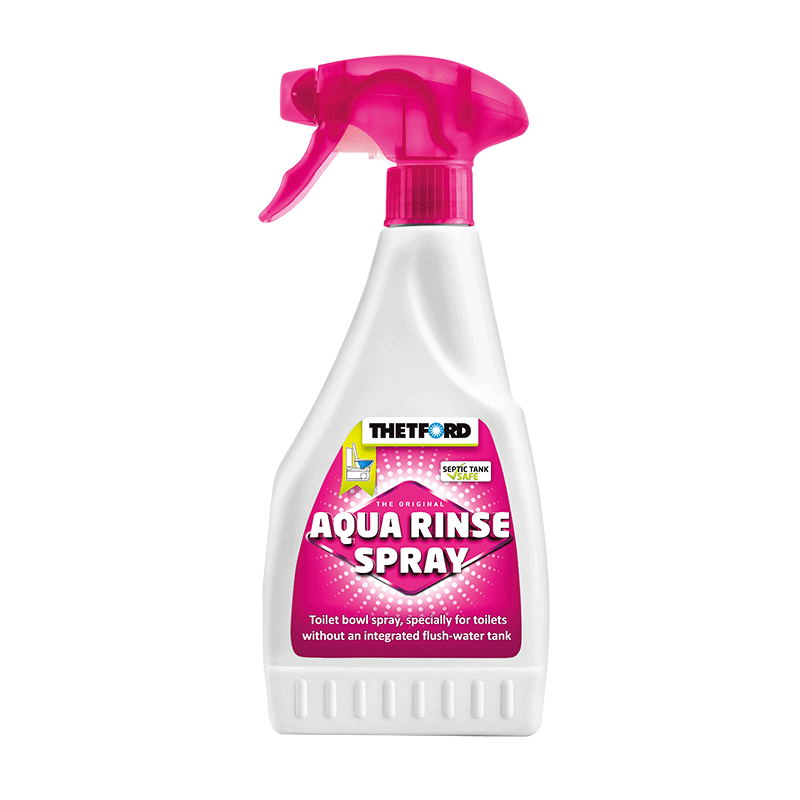 Aqua Rinse Spray coats the toilet bowl with a special, protective layer which results in a smoother flush and limits the number of flushes required. Available in a 500ml spray bottle.